Have you noticed that in almost every movie or TV show that has a Dad in it, they are the joke parent? Always bumbling around, putting nappies on upside down and brushing baby’s hair with a hairbrush taped to an electric drill. They can be pretty funny, for sure, but how many times can you see a ‘dumb dad’ portrayed before the joke becomes an expected part of family life? I’m very lucky these days. Not only do I get to be a stay-at-home dad for my amazing little monkeys, but I also get the opportunity to meet lots of brand-new, first-time Dads. They are all brimming with love and excitement for their miniature daughter or son, or even twins or triplets! These aren’t the Dads we see on screen; these are hands-on Dads who hold, cuddle, rock, tickle, kiss, feed, burp and change their new babies. And yet, when we get talking about how much time they spend alone with their bub, many of these Dads become quiet. Even though I can see that they are completely capable of looking after their child, the Dads are hesitant to be alone with baby or too far from Mum; there is still this feeling, hidden deep down in so many new Dads, that only Mums know what they are doing. Dads sometimes think that they are just there to be the support. That’s crazy talk! Dads can do anything! My wife, Phenom-A-Mum, says that she only listened to one piece of advice given to her before our first was born: “Let him make mistakes. And that is exactly what she did. From zero day onwards, Phenom-A-Mum dumped Little E in my hands regularly and bit her lip as I fumbled my way through. She wanted to intervene and show me how she does it, but she held back and waited. I was learning in my own way, just as she was doing. Just as every brand-new Mum has to learn. There seems to be a weird myth that, somehow, the act of being pregnant instantly downloads all of the necessary baby-rearing information, Matrix-style! And this can leave Dads out on the periphery, feeling incapable or biologically ill-prepared. Any Dad can be a confident Dad. All it takes is time. Alone time. When Mum isn’t there to fall back on, to hand baby back to, then Dads work it out on their own. Their way. The more time that Dad has alone with bub, the easier ‘Dadding’ becomes. The more quickly the confidence comes. It’s the same as starting a new job – you aren’t an expert in the first week, but we learn quickly the more we do a job. Being a Dad is exactly the same, just with better pay (cuddles and kisses). As a bonus, the more time that Dads spend alone with their baby, the more time Mums have to recharge; perhaps a shower or a quiet coffee, a trip to the shops or catch-up with a friend; a few baby-free moments to catch their breath. Just remember that Dads will do things differently and that’s okay. David Hawkins is a Peninsula based stay-at-home-dad who realised that he needed to improve his Dadding. So he set himself the simple task of being an Awesome Dad. 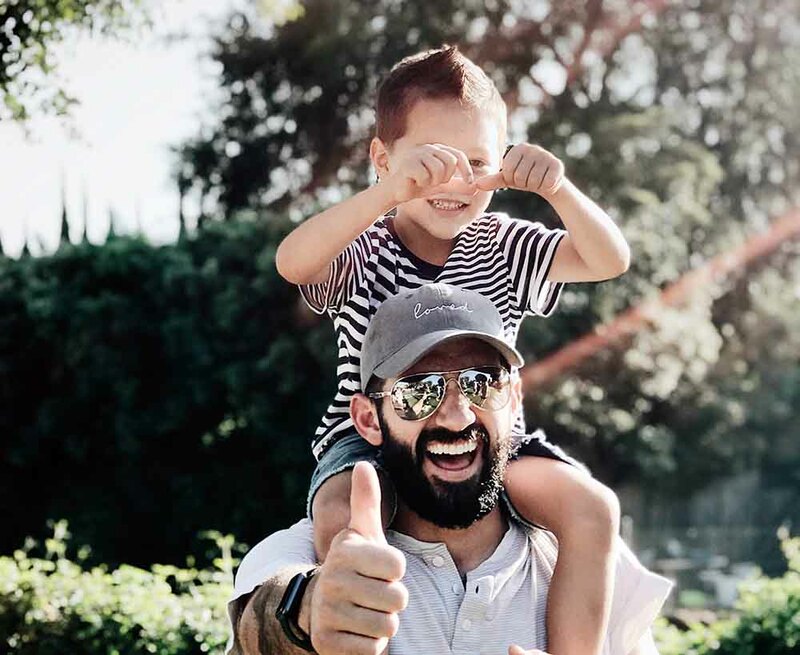 He now challenges all dads to be awesome dads, by doing something out-of-the-ordinary with their kids.